To measure is to know, install blue sticky traps in your crops to detect thrips on time. Many pest insects like whitefly, leafminers and aphids are attracted by the colour yellow. Thrips, one of the most common pests in cucumbers, don’t dislike yellow, but their true favourite is blue. Moreover beneficials like parasitic wasps are not attracted by this colour. 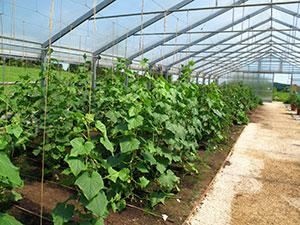 The rule of thumb for blue Biobest’s Bug-Scan® traps is 40 per hectare of protected crops. To monitor the population evolution properly a weekly or two weekly thrips ‘check and count’ will do.